Roman Miller : The Great White Fleet, Waikiki, 1908. 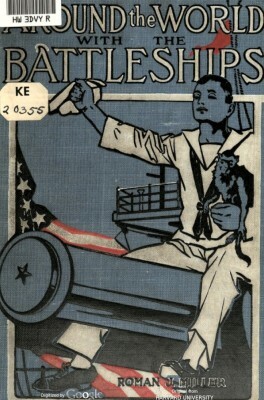 Illustrated by Photographs by H. R. Jackson. A.C.McClurg and Co., Chicago, 1909. Introductory note by James B. Connolly. A. C. McClurg & Co., Chicago, 1909. Representing the recently formed Outrigger Canoe Club, Kenneth Winter and Sam Wight, on their long, heavy boards easily won the surf-board contest. 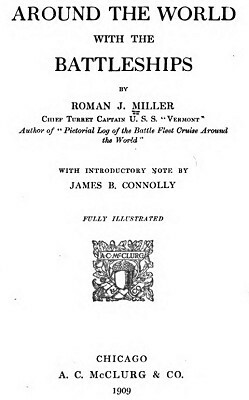 Roman John Miller (1883-19 ) was the Chief Turret in U.S.S. Vermont. The bathing beach at Waikiki, five miles to the south, is world-famed for its beauty, the even temperature of its waters, and the unique sports there enjoyed, such as surf-boating and surfboard-riding. The sharp outrigger canoes of the Hawaiian natives, guided by an expert, are so turned in front of a breaker, that the wave furnishes the impetus which drives the canoe straight toward the shore, the breaking roller tumbling beneath the stern, the prow turning a cloud of spray high in the air. Those who find delight in this sort of rudimentary sport should have been with the Vermont boys one afternoon to understand it to perfection. 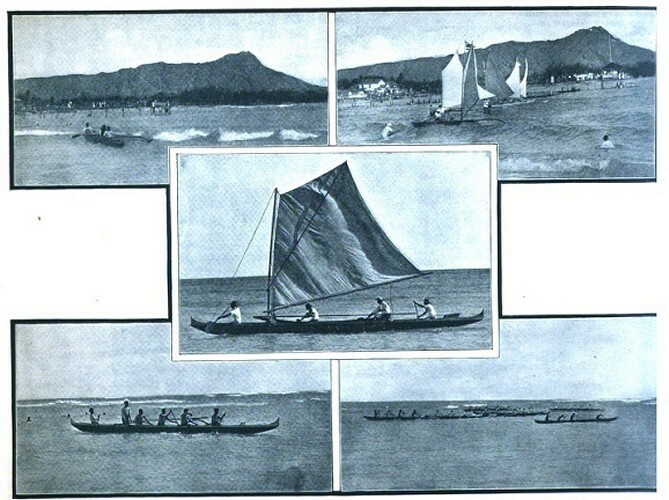 This group of pictures represent scenes at Waikiki, a bathing beach ﬁve miles to the south of Honolulu. It is world famed for its beauty and the even temperature of its waters, and the unique sports there indulged are surf-boating and surfboard riding. The sharp outrigger canoes of the Hawaiian natives guided by an expert are so turned in front of a breaker, that the wave furnishes the impetus which drives the canoe straight towards the shore, the breaking roller tumbling beneath the stern, the prow tossing a cloud of spray high in the air. 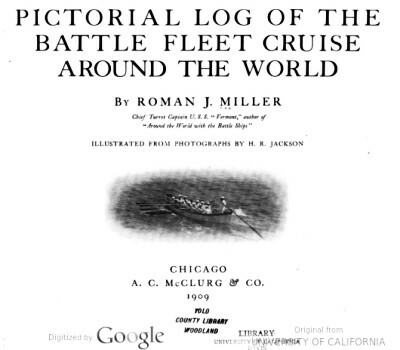 Geoff Cater (2016) : Roman Miller : The Great White Fleet Log, 1908.